By Christine Schmidt @newsbyschmidt April 3, 2019, 11:20 a.m.
Google — because of some admixture of political pressure, guilt, antitrust fears, and civic-mindedness — is increasingly giving money to news organizations around the world. But as press freedom tightens in many countries, what steps are Google taking to evaluate the news organizations it sends checks to? That’s a question some in Central Europe were asking when they saw that Google, as part of its Digital News Innovation Fund, had given up to €50,000 (US $56,000) to the parent company of a Hungarian site called Origo. Origo is the country’s second most popular news site and was once known for its investigations into corruption. But today, Origo is best known for being a mouthpiece of Hungary’s authoritarian government. “How Origo, a website staffed by pro-government flunkies, will help Hungarian journalism ‘thrive’ is hard to imagine,” wrote MediaPowerMonitor, a “group of writers concerned about the state of independent journalism and the thorny relations between media and the powers that be,” which first noticed the grant March 28. But that was in 2014. Today, Origo is one of the prime minister’s most dutiful media boosters, parroting his attacks on migrants and on George Soros, the Hungarian-American philanthropist demonized by the far right on both sides of the Atlantic. And if Origo once dug into Mr. Orban’s government, it now pounces on his political opponents. If little known outside Hungary, Origo is now a cautionary tale for an age in which democratic norms and freedom of expression are being challenged globally — and President Trump and other leaders have intensified attacks on the free press. We recently made an initial offer of funding to a range of projects as part of the last round of our Digital News Innovation Fund. After further review, we’ve decided not to go ahead with the grant to NWM [New Wave Media]. Though nominally still private, Origo now became a vessel for the government. Bought in part with government money, Origo now published news that echoed the government’s stance — in particular on migration, Mr. Soros and the European Union, whose officials have frequently criticized Mr. Orban. Before, Origo had struggled financially. Now it was flush with government advertising revenue, which more than tripled after the sale. In 2017, the son of Mr. Orban’s former finance minister became New Wave’s chief executive, and government advertising revenues kept rising, even as Origo’s coverage became even more aggressively pro-Orban. 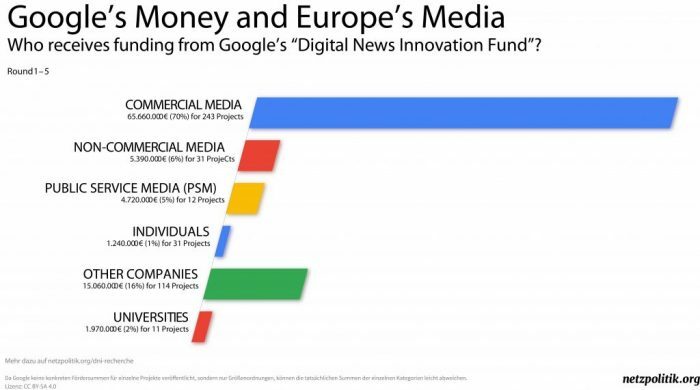 Over the past three years, Google has doled out around €150 million (USD $168 million) to more than 600 news organizations in 30 European countries through its Digital News Innovation Fund. Generally, these grants, intended to “help stimulate innovation in digital journalism,” go to products focused on fact-checking, local news, digital revenue, or AI and technologies. 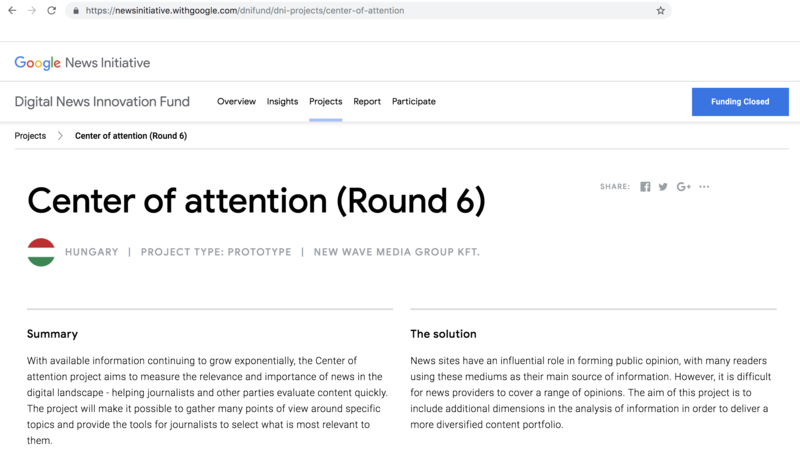 Summary: With available information continuing to grow exponentially, the Center of attention project aims to measure the relevance and importance of news in the digital landscape — helping journalists and other parties evaluate content quickly. The project will make it possible to gather many points of view around specific topics and provide the tools for journalists to select what is most relevant to them. The solution: News sites have an influential role in forming public opinion, with many readers using these mediums as their main source of information. However, it is difficult for news providers to cover a range of opinions. The aim of this project is to include additional dimensions in the analysis of information in order to deliver a more diversified content portfolio. Google’s newfound diplomacy and philanthropy comes after years of battling with European publishers about the company’s influence over advertising, search, and visibility in Google News. In 2013, the company created a precursor to the Digital News Initiative with a €60 million fund to help spur innovation in French media companies. 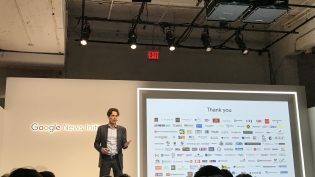 The DNI Fund has now transitioned after its three years of service into the broader Google News Initiative, a $300 million commitment over the next three years. Last week Ludovic Blecher, the DNI Fund’s head and a 2013 Nieman Fellow, announced the GNI Innovation Challenges, spending “$30 million over the next two years to launch up to five regional editions of the Challenges program, covering the North America, Middle East and Africa, Europe, Latin America, and Asia Pacific regions.” In its reader revenue-focused first challenge in the Asia Pacific region, 23 projects from 14 countries were granted funding; the next challenge this spring will focus on local news in Europe and North America, following another challenge in Latin America, the Middle East, and Africa. According to the DNI Fund’s FAQ, a “project team, composed of a mix of experienced industry figures and Google staff,” reviewed applications to make initial selections to approve the smallest grants (such as the amount awarded to New Wave) and then recommend larger projects (up to €1 million) to the fund’s 11-member council. That included Bauer Media Group’s Veit Dengler as chair, Rosalia Lloret of the Online Publishers Association Europe, and Google’s director of strategic relations for news and publishers Madhav Chinnappa and vice president of marketing for Europe, the Middle East, and Asia Torsten Schuppe. The proposals were evaluated for their impact on the news ecosystem, innovation/use of technology, feasibility, and possible monetization (required for grants larger than the one Origo got). German digital news site Netzpolitik.org analyzed the grantees of the DNI Fund’s first four rounds, finding that 54 percent of the funding was sent to legacy media and 83 percent of recipients were in Western Europe. Only ten percent of recipients were nonprofit or public service media. The GNI Innovation Challenge website does not have details about how the first round of fundees was determined, or who will decide the recipients for the next challenges. Illustration based on drawing of Viktor Orban by Philippe de Kemmeter used under a Creative Commons license. POSTED April 3, 2019, 11:20 a.m.
Schmidt, Christine. "Why did Google’s Digital News Innovation Fund offer up to €50,000 to a mouthpiece of Hungary’s authoritarian government?." Nieman Journalism Lab. Nieman Foundation for Journalism at Harvard, 3 Apr. 2019. Web. 23 Apr. 2019. Schmidt, Christine. "Why did Google’s Digital News Innovation Fund offer up to €50,000 to a mouthpiece of Hungary’s authoritarian government?." Nieman Journalism Lab. Last modified April 3, 2019. 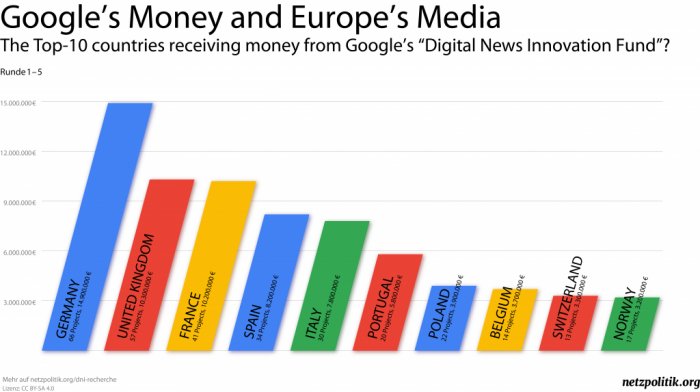 Accessed April 23, 2019. https://www.niemanlab.org/2019/04/why-did-googles-digital-news-innovation-fund-offer-up-to-e50000-to-a-mouthpiece-of-hungarys-authoritarian-government/.